Although I was a fan of Carlton Cuse’s American version of The Returned (Les Revenants), I must say that the original French version, which aired here with subtitles on Sundance TV in 2013, had an extra air of creepiness. Maybe that was because it was literally, as well as figuratively, foreign. Happily, the original French production also did something that the American A+E series did not; it was renewed for a second season. Once again airing on Sundance TV, The Returned (Les Revenants) will, you know, return with new creepiness on Halloween. If you missed Season 1, no worries, as they’ll be re-airing those episodes on October 18. Those of you who were fans of ABC’s Resurrection but missed either version of The Returned the first time around will be seeing some very familiar plot points when you check out this series. Although Resurrection was ostensibly not in any way related to this series, it was based on a book with the familiar title The Returned. Go figure. This first, French series is definitely my favorite of the three, and there are enough different elements to keep you tuned in, and keep your eyes from rolling about any similarities. And don’t worry, you get used to reading the subtitles very quickly, and it is completely worth it. If you haven’t seen Season 1 of The Returned (Les Revenants) but plan to do so before watching Season 2, you may want to skip the press release below, along with the photo gallery, as it’s all rather Season-1-spoilery. Just note the date and time for the Season 1 marathon and the Season 2 premiere at the end of this post, or check our calendar on the tab at the top of the page or click here. NEW YORK, NY – September 16, 2015 – Two years to the day after its initial US television premiere, SundanceTV will launch the highly anticipated second season of the International Emmy® and Peabody Award-winning series The Returned on Saturday, October 31st at 10:00PM ET/PT. The Returned is produced by Haut et Court TV for CANAL+ CREATION ORIGINALE. To give viewers a chance to catch up on the French drama, SundanceTV will air a marathon of season one on Sunday, October 18th with back to back episodes beginning at 6:00 AM ET/PT. When The Returned made its domestic debut on SundanceTV in 2013, it was met with wide critical acclaim. Touted by Time as “an expertly suspenseful thriller” and by Buzzfeed as a show that “captures some of the most beautifully eerie scenes ever on television,” the series is based on the feature film Les Revenants by Robin Campillo. Distributed by Zodiak Rights and created and directed by Fabrice Gobert, season two will consist of eight one-hour episodes. The Returned takes place in an idyllic French mountain town, where a seemingly random collection of people find themselves in a state of confusion as they attempt to return to their homes. What they don’t know yet is that they have been dead for several years, and no one is expecting them back. As they struggle to reintegrate with their families and past lovers, buried secrets emerge and new mysteries develop as they grapple with a miraculous and sinister new reality. The second season of The Returned picks up six months after the deceased gathered outside the Helping Hand shelter before disappearing into the mountains with Simon (Pierre Perrier), Camille (Yara Pilartz), her mother, Claire (Anne Consigny), Julie (Céline Sallette) and the mysterious youngster Victor (Swann Nambotin). Since then, nothing has been heard of them or the police who fought to protect the Helping Hand shelter’s residents. In present day, Adèle (Clotide Hesme) is about to give birth to Simon’s child, part of the town is still flooded and the dam remains under surveillance, with the army providing logistical support for those residents who have chosen to stay. Rumors abound that the dead have returned, but the authorities refuse to believe them. The rare witnesses have chosen to remain silent or are not taken seriously, among them Léna (Jenna Thiam) and her father Jérôme (Frédéric Pierrot), who have not given up hope of finding Claire and Camille. But when a mysterious man named Berg (Laurent Lucas) pays a visit to the town, it appears he knows more than he claims. New characters this season – Berg (Laurent Lucas), Milan (Michaël Abitboul), Audrey (Armande Boulange) and Virgil (Ernst Umhauer) – join returning characters Toni (Grégory Gadebois), Serge (Guillaume Gouix) and Lucy (Ana Girardot). The Returned is produced by Haut et Court TV for CANAL+ CREATION ORIGINALE and written by Fabrice Gobert, Audrey Fouché, Coline Abert and Fabien Adda. The series is directed by Gobert and Frédéric Goupil. Mogwai will return to score the season two soundtrack. 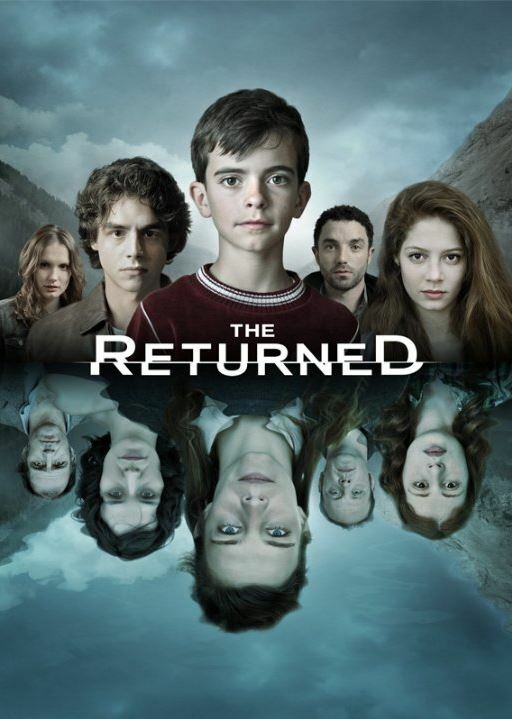 The Returned, Season 1, starring Pierre Perrier, Yara Pilartz, Anne Consigny, Céline Sallette, Swann Nambotin, Clotide Hesme, Jenna Thiam, and Frédéric Pierrot, airs as a marathon on October 18 beginning at 6am/5amc on Sundance TV. The Returned, Season 2 premieres Saturday, October 31st at 10:00pm/9c on Sundance TV.